The festive period is a time for popping open the Champagne as celebrations and drinks flow freely. But why restrict yourself to a simple glass of bubbly? 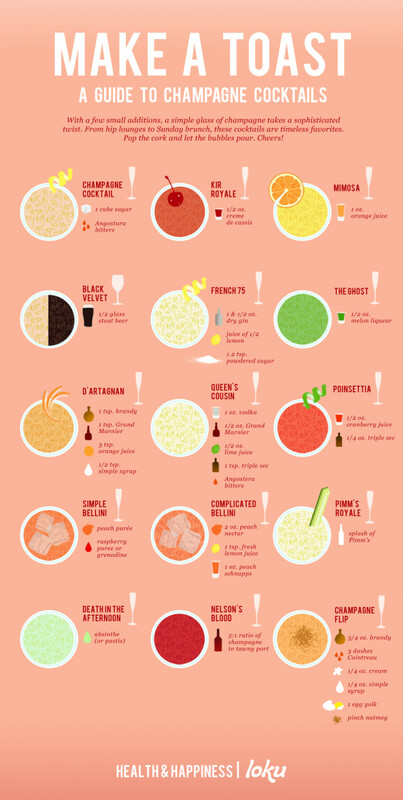 As this infographic from Loku shows there's a whole array of different drinks that can be made using Champagne. Black Velvet, Kir Royale, Mimosa and The Ghost are just some of the drinks listed on this sparkling infographic. There's 15 drinks in total with instructions on how each on is made - perfect if you want to add something a little different at your next party.